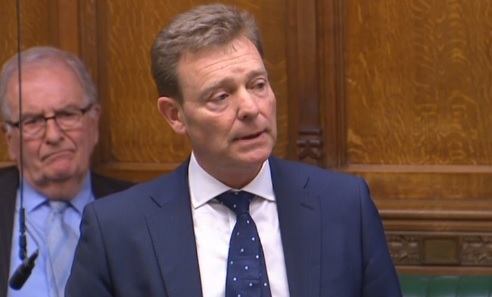 Craig Mackinlay MP has tabled a bill to reform election law by amending Section 90C of the Representation of the People Act 1983. Having gone through a three month trial on the back of ambiguity in election law and with local elections on 2nd May, the South Thanet MP is arguing that election law must be clarified at the earliest opportunity. For many years, it was always the established fact that candidates and agents had to approve election expenses. A Supreme Court judgment delivered in July last year put that on its head. The judgment means that, for the first time we could have a situation where election expenses that have not been approved by candidates and agents, perhaps by somebody wanting to cause mischief, could by default fall on a candidate or agent to be election expenses. 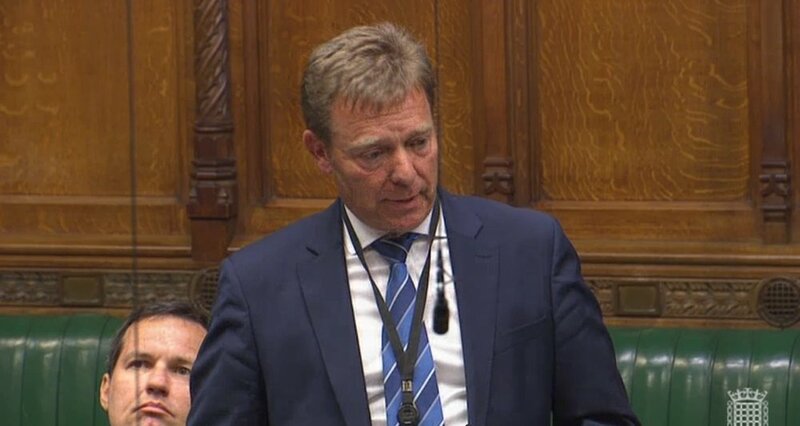 Mr Mackinlay told MPs that the Representation of the People Act 1983 needed to be amended so that candidates and agents can go about their businesses without risk of prosecution: “The desire to offer oneself for public service should not come with a threat to one’s liberty, reputation and career”, he said. “The glaring grey areas in election law means that candidates and agents face a real threat of criminal prosecution with life-changing consequences. “National party spending rules and local candidate spending must be clarified. Mr Mackinlay’s full speech can be found here. His Election Expenses (Authorisation of Free or Discounted Support) Bill is scheduled to have its Second Reading on Friday 22 March. New figures show that the UK exported £336.9 billion worth of goods in 2018. This is an increase of £61.5 billion since 2015 – a 22 per cent increase. Over the last three years, there have been 13,000 more businesses exporting in the UK. Craig has welcomed the latest figures, which show that businesses across all corners of the country are exporting across the world. The government’s Export Strategy aims to boost British exports to 35 per cent of GDP, while creating jobs, raising wages and growing the economy. “These figures show Brexit Britain is open for business, and that the excellent goods provided by businesses across the area are in demand across the world. “It’s great to see that so many businesses in the UK are exporting. The Conservatives are providing businesses with the support they need to grow – and our Export Strategy will support more companies to export so that they can create more, better-paid jobs. Craig Mackinlay MP has encouraged people in his South Thanet constituency to join him in showing their support for high street shops in Ramsgate, Broadstairs and Sandwich by shopping locally this High Street Saturday on 16 March. This new campaign day aims to celebrate the place of high streets at the heart of communities across the country. “High streets have long been a place to bring communities together, a place for local people to access vital services and a place for businesses to thrive. But it is becoming harder for businesses on high streets across the country to compete with out-of-town shopping centres and online retailers. “That’s why I’m calling on people in Ramsgate, Broadstairs and Sandwich to celebrate and support our local high streets this High Street Saturday, 16 March. “As the national Chairman of the All Party Parliamentary Group for Civic Societies, I was pleased to lead an event held recently in Parliament to further the discussion on the future of our High Streets, and how changing purchasing habits, with a rapid rise in internet shopping, means that the traditional view of High Streets as simply a place to shop will not hold into the future. I have also supported government measures to deliver £10 billion of business rates support since 2016 and the £675 million of funding to help community leaders modernise their high streets and town centres. Craig Mackinlay MP has accompanied the Secretary of State for Education, Rt Hon Damian Hinds MP, to a visit to the Yarrow Hotel in Broadstairs to meet with East Kent College’s Executive Director Strategy and Partnerships, Paul Sayers and some of the students and apprentices working and learning at the hotel, including Seb Anning, a Broadstairs College apprentice in PR and Corporate Communications. 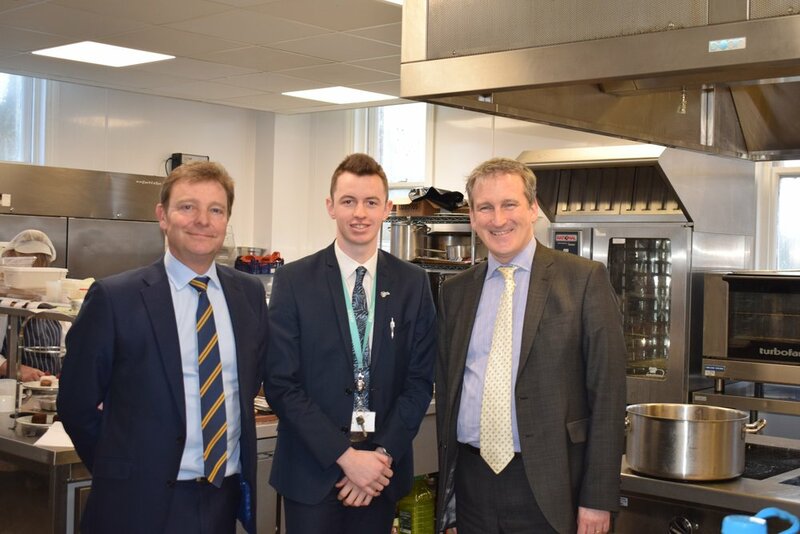 The South Thanet MP and Paul Sayers showed the Education Secretary around the hotel, which is owned and operated by the EKC Group, and offers high quality training for East Kent College students. As well as highlighting the entrepreneurial nature of the Yarrow Hotel, Mr Sayers raised the issue of funding on the wider Further Education sector. “East Kent College is a massive asset to our region and the Yarrow Hotel plays a pivotal role in providing a quality education and work experience to students and apprentices wanting to work in the growing hospitality industry. “It was wonderful to welcome the Secretary of State for Education to our unique Broadstairs hotel, The Yarrow, and to show him how we are marrying educational provision with real world commercial experiences for our students. “It was great to be invited to visit the Yarrow Hotel in National Apprenticeship Week, strongly recommended by Craig. More than 434 families in Thanet have been able to realise their dream of home ownership thanks to the government’s right to buy schemes, new figures out show. Almost 600,000 more families have gotten a foot on the housing ladder since 2010 through Help to Buy and Right to Buy. This means 184 families using the schemes every day since the Conservatives came to power to buy a home of their own. Help to Buy has two main schemes. One allows future first-time buyers to take out an Individual Savings Account (ISA) which pays out a government bonus of up to £3,000 towards the cost of a new home. Another scheme, the equity loan, means buyers only need to raise 5 per cent of a property’s value for a deposit and the government will provide a 5 year interest-free loan of up to 20 per cent of the property’s value. Further help comes with Stamp Duty relief for first-time buyers, exempting most from it, another welcome boost. Families across the country are benefitting from the schemes with more than 93 per cent of completions taking place outside of London. “This is good news for 434 families on the Isle who have been able to get the security of their own home through the Government’s Help to Buy schemes. 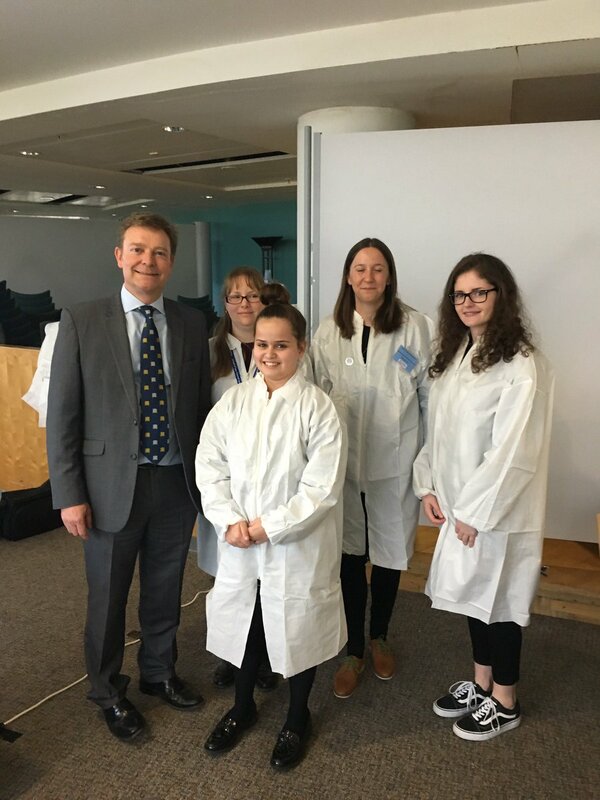 South Thanet MP, Craig Mackinlay, has supported an event in Sandwich for young people that aimed to show just how many exciting and rewarding opportunities there are in Science, Technology, Engineering and Mathematics (STEM) related careers and Further Education. Attendees of the Big Bang event at Discovery Park, which included around 1000 pupils from Kent and Medway secondary schools, were able to enjoy interactive exhibits and stalls, workshops run by local companies and an exciting STEM show by John Coad on the Elements of the Periodic Table. “The take-up of STEM subjects by school pupils continues to rise, up 4.5 per cent on last year and up 23 per cent since 2010. “That’s why I was delighted to support this excellent Big Bang event, hosted by Discovery Park in partnership with Pfizer and Canterbury Christ Church University, which showcased to 1,000 students from 30 schools in Kent the wide range of opportunities available in STEM industries and showed how learning can translate into real careers in the growing tech sector. Craig Mackinlay MP has visited Worth Primary School as part of the National Governance Association’s (NGA) ‘Week of Action’ on school funding. During the visit, the Chair of Governors, the Executive Head Teacher and Head of School, as well as staff and pupils, pressed Craig on the importance of additional funding to help the School. The national formula for school funding for local authority maintained schools, routed through Kent County Council in this case, is allocated on a per pupil basis. Worth Primary School, having just ten pupils in each class year suffers under this formula against larger schools. Physical restraints limit further expansion at the school despite demand from local residents in Worth, which is itself expanding after recent modest housing developments. “More money is going into our schools and school funding is at a record high. The core schools budget has increased to £42.4 billion this academic year and is set to rise to £43.5 billion in 2019-20. In fact, figures from the independent Institute for Fiscal Studies (IFS) show that real terms per-pupil funding in 2020 will be more than 50 per cent higher than it was in 2000. This is likely to be a week of ‘lull’ before the Brexit storm lands in Parliament again next week, with three days of debate and votes planned. As ever in this fast-moving drama, all is subject to last minute change. Canvassing for the local elections on 2nd May across Thanet has commenced in earnest and it has been good to be back on the streets speaking to residents; always the best way to really gauge the public mood on issues. It is clear the majority of local people do not want this half-in, half-out Brexit deal, that we must leave on 29th March as promised, and if that means a managed ‘no deal’ under WTO terms then so be it. The issue of Port Ramsgate continues to receive local and national media attention. In some ways, with the likelihood of Seaborne or others coming to Ramsgate now vanishingly small, despite government support, this is an opportunity to bring closure to this long-running saga despite aspirations across many Thanet District Council administrations. It cannot be said that all have not tried. I was pleased to note the 2019/20 budget passed by the Council reflecting this reality with a commitment for a feasibility study as to the way forwards. We have a unique asset of 32 acres of prime waterfront land that other areas would regard as a gold-plated gift for positive regeneration. I would recommend we get together as a community and look to a new future that would benefit the area, it is something I’ve been encouraging for four years. As the national Chairman of the All Party Parliamentary Group for Civic Societies, I was pleased to lead an event in Parliament to further the discussion on the future of our High Streets, and how changing purchasing habits, with a rapid rise in internet shopping, means that the traditional view of High Streets as simply a place to shop will not hold into the future. They must be attractive places to visit and enjoy as a leisure activity as well if they are to have a future, and I’m pleased to see that Thanet District Council will be putting in a bid for their share of the £675 million Future High Street Fund. With the transfer of stroke services to the William Harvey hospital, Ashford coming out as the preferred option under the review, this has understandably caused alarm amongst Thanet residents. I have had numerous meetings with the clinical professionals and campaigners and can agree the need for Hyper Acute Stroke Units, particularly as the six-unit configuration we currently have across Kent has poor ratings compared to the rest of the country. The question to be properly answered is ‘where should they be?’ I have launched a Parliamentary petition which I will present in the Chamber which asks for the decision to be reviewed by the Secretary of State for Health, to make sure the recommendation is sound, and whether the third HASU (or fourth) would not be best at the QEQM because of geography and time. Details on social media and my website. Do take part so that your voice is heard. The decision by the Joint Committee of Clinical Commissioning Groups for Kent & Medway Stroke Review, endorsed by the Joint Health and Overview Scrutiny Committee in Kent recommending a three Hyper Acute Stroke Unit (HASU) option for Kent has caused understandable local concern. Whilst I have written about this decision at some length, and remain uncomfortable about it, I can understand the rationale behind the conclusions, but worries remain about geography, distance and time from Thanet to The William Harvey Hospital, Ashford which would become, by 2021, the relevant HASU to serve Thanet and Dover District residents. What has become very clear, across the huge amount of data, reports and statistics presented by the NHS body, and campaigners, is that stroke services across Kent, having some of the lowest national ratings of ‘D’ and ‘E’ need urgent reform because we deserve the best. HASUs elsewhere in the country have raised standards, improved recovery and saved lives so the concept has my support. In response to the online campaigns, emails and letters that I have received it is now only right to present local views to Parliament, by means of a Parliamentary petition. This will be read out in the House of Commons Chamber, becoming part of the Parliamentary record and is designed to elicit an appropriate response from appropriate government Ministers. Please feel free to print the petition out and obtain local signatures. Petitioners must physically ‘wet sign’ the petition for their view to be properly recorded. Please send completed forms back to me at my constituency office – 4 The Broadway, Broadstairs, CT10 2AD by Friday 15th March. I will then be able to present your petition to Parliament in the following week. Craig has met with representatives of Rethink Mental Illness Employment Service to be briefed on a project in operation throughout Thanet under Live Well Kent that assists the recovery of people with mental health conditions. Rethink Mental Illness Employment Service, commissioned by Porchlight under the partnership of Live Well Kent supports individuals in all aspects of employment - from finding a job to liaising with employers on issues such as mental health disclosure. And also works with different services with the overarching aim of supporting wellbeing and aiding recovery, and tackles issues such as mental health, housing, homelessness and isolation. The service is free to anyone who is over 18 and registered to a GP and suffers from Mental Health difficulties. “At least 1 in 4 people in the UK experience a mental health problem each year. “That’s why the work of Live Well Kent and recovery-based services such as Thanet Way are so important.